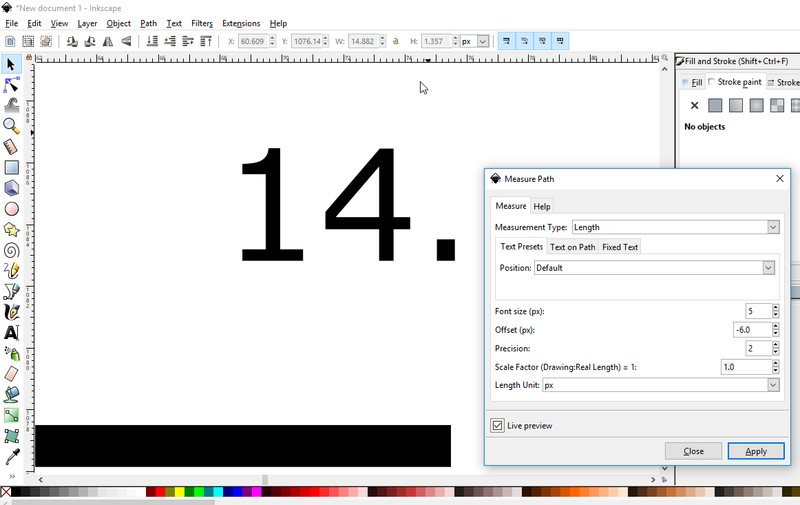 Set the font to 5 px here; and note the text box of measure tool shows only "13", whereas the lenght (from the W box above) is 13.385 px. 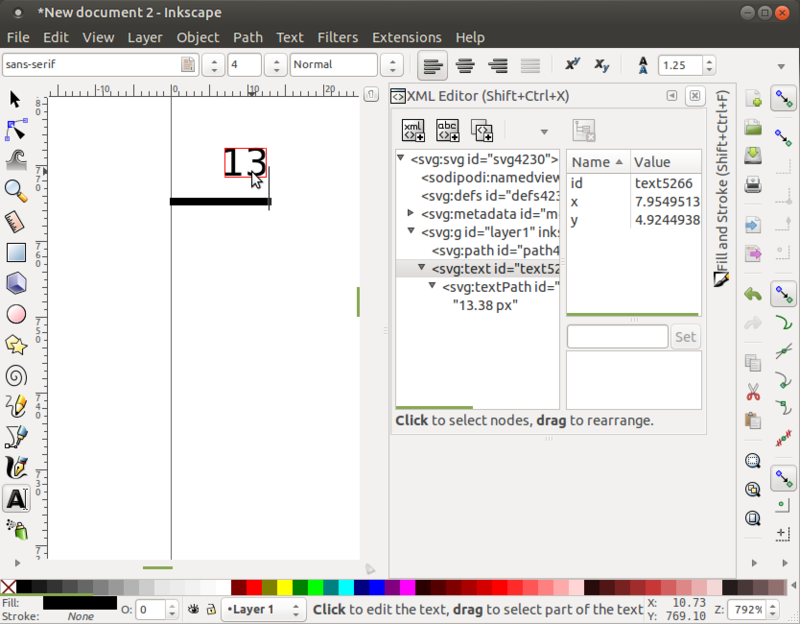 If you select it with normal pointer, it says below "Text on path [truncated]" (see also Inkscape - Dev - NEW: truncated text indication); if you switch to the text tool as on the image, you get a red outline, and if you open the XML editor, you can see that the full text is actually "13.38 px", but only "13" is shown, because the text is, well, truncated. So my question is - how can I get this text box to show the entire text? 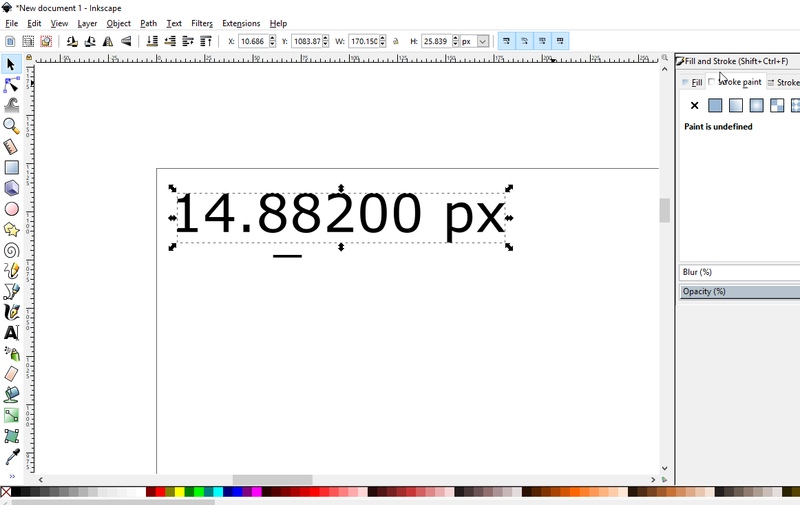 It is namely NOT a frame, and there are not ANY properties in the XML that allow for the changing of the box size - so I cannot edit the size of this text box?! One work-around: If you want full editing power, just make a normal text-box over the line. You probably hate this answer. Sorry. 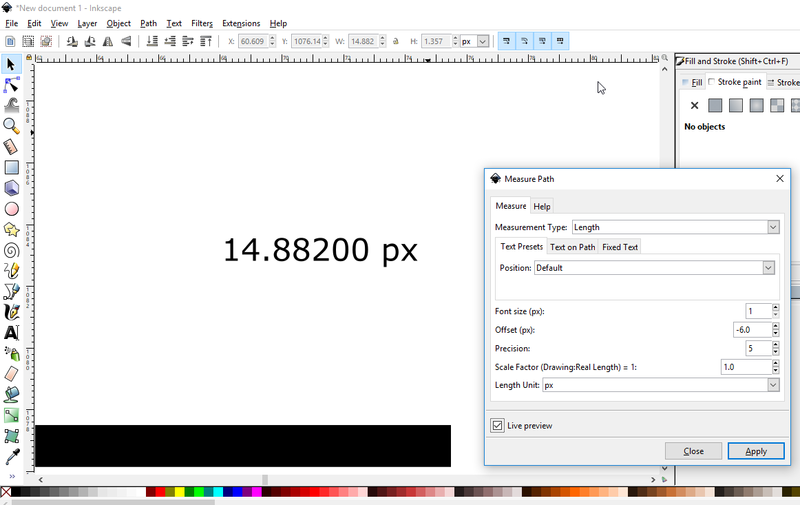 Still, using your approach, I noticed that you are not even using all the available space in your screen-shots: Try setting the text anchor from left to center and so at least you can use the entire length of the line (or rather its shortness) for your text. If you then set your defaults to a condensed font, you should be able to get your decimal part visible above such a short line. Here I've done essentially the same thing as you... 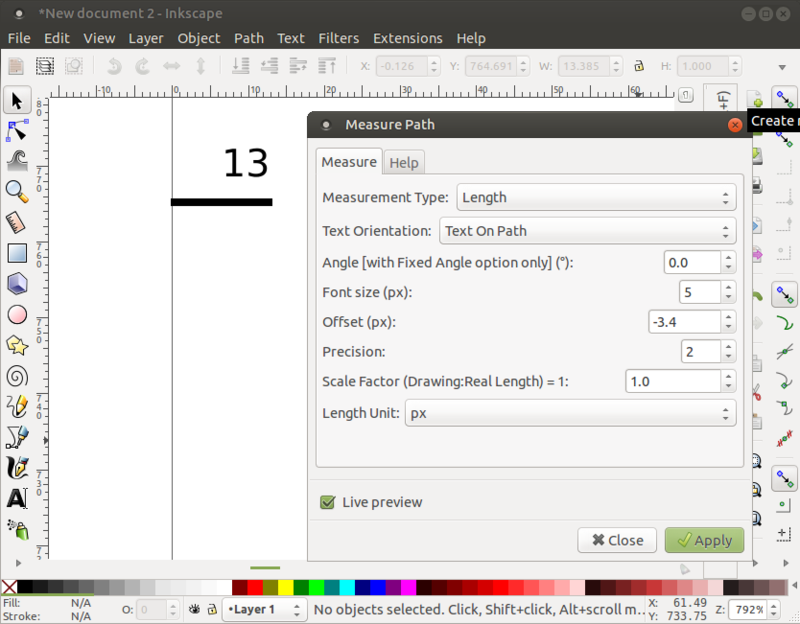 I drew a tiny line and opened up the Measure Path dialog. So now if you just click Apply and close the dialog this leaves you with ridiculously tiny text. Fitting text into a Letter using inkscape?